Workshop with a wide selection of coral and cameo jewellery which can be personalized to your requirements. The shop is located on the famous Rialto Bridge in Venice where you can admire the small Cameo Museum. Jewelry store selling Mediterranean colored corals. Located in the heart of the historic centre of Salerno, creates gemstones, unique and exclusive models. BULOVA, CHIRICO, DAVITE & DELUCCHI, DD JEWELRY, LOCMAN, LORENZ, MARIA CRISTINA STERLING and UNOAERRE. jewellery Juliano is arranged on two floors: Street level store and the basement, where you can also visit the medieval archaeological finds, you will find a wide selection of silverware and curated and porcelain. Each jewelry with precious stones. There is also the presence of an internal laboratory which is able to meet the most common needs of customers. Brands stocked: PANDORA, PHILIP WATCH, ROSE, SECTOR and TISSOT. The Livrieri jewellery store specializes in women’s and mens watches from all the major brands on the market, many articles suitable for every occasion. Besides the classic jewellery, you will be able to evaluate a wide range of silverware. CITIZEN, EMPORIO ARMANI, LIU-JO, LORENZ, ORIENT, OSA and RULERS. Other brands: BUCCELLATI, BULGARS, CHANTECLER, DODO, GUCCI, MOMO DESIGN, PAUL PICOT, POMELLATO and TIFFANY CO. 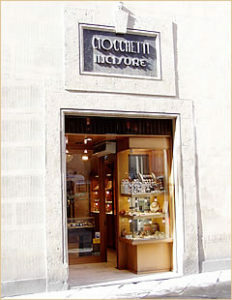 Founded in 1973 in Salerno, this store sells exclusive jewellery. Over the years the store has expanded its range with new articles, fashion and trend of watches, silverware and jewellery. Jewellery, exclusive to Salerno, are companies Salvini, Alfieri & St. John, Bliss, Kiara, Annamaria Cammilli and much more refined and sophisticated jewllery items, like Montblanc pens. 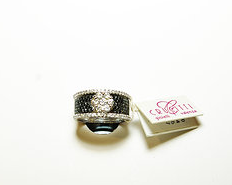 They also perform repair of watches, jewellery creations and settings. At the point of sale, you will find a wide variety of watches fashionistas but also style and classical one likes: Guess, CK watches, Dolce and Gabbana, Armani, Breil, Alviero Martini and Chronotech. In Vallo della Lucania, Melon jewelry invokes a wide clientele, the store is slit in 2 parts, the sales department of watches and silver and gift sections for wedding lists, ensuring customers the availability, quality and a good service. ALFIERI & ST.JOHN, ANNAMARIA CAMMILLI, CHRONOTECH, CITIZEN, FOSSIL, GUESS, MORELLATO, PACIOTTI JEWELS, PASCUAL. luxury jewellery on display, the store is near to San Marks square. Gold laboratory by Giorgio and Alessandro Berto. Handmade jewels. Store based in Cannaregio near to the train station offers Murano glass and traditionally designed jewellery. Italian jewelry workshop, silver and gold and self made jewels.